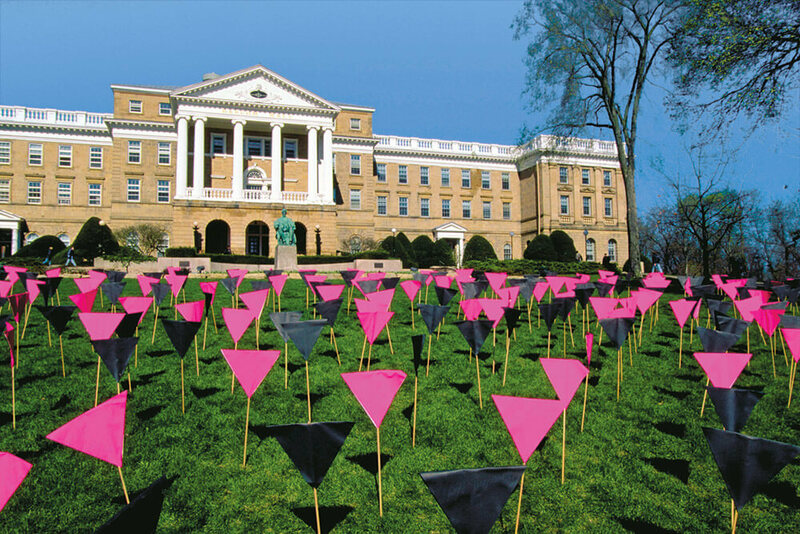 Bascom Hill serves as a blank canvas for those who want to get the word out for a group or a cause — or to quietly reflect. 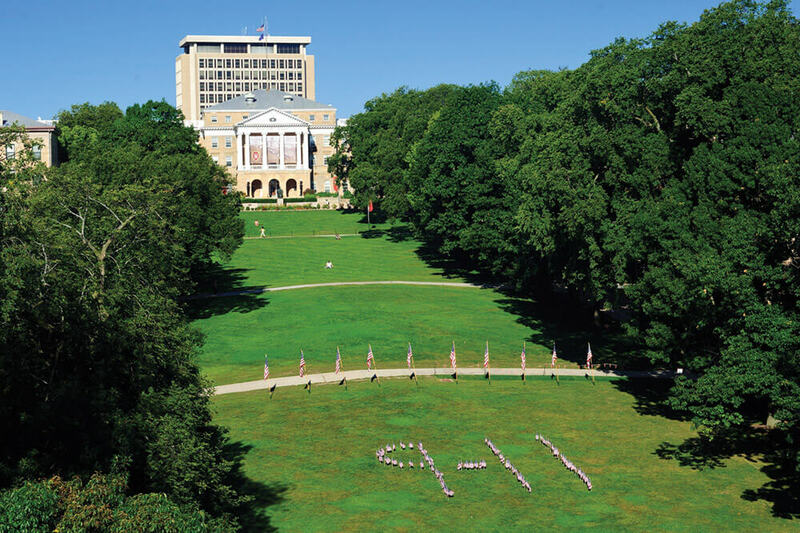 The Pail and Shovel Party was onto something: if you want to get your message across, take it to Bascom Hill. 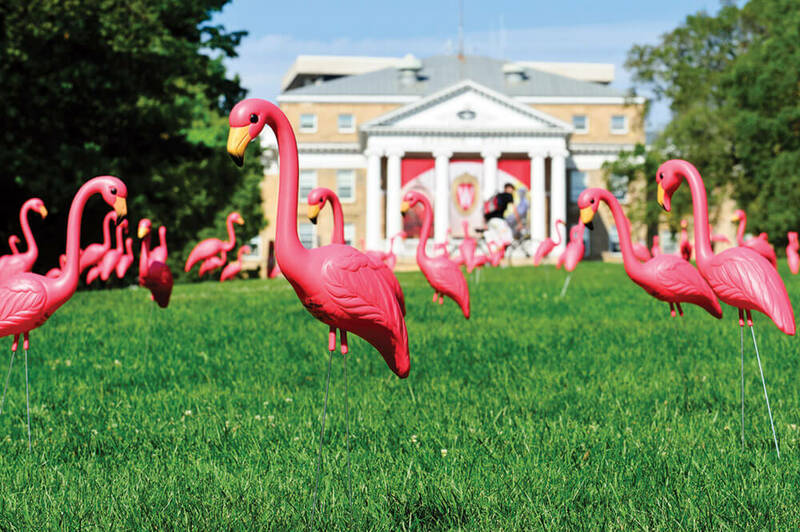 Granted, not every display creates the same lasting impression as the flock of a thousand plastic flamingos that student leaders deposited on the hill in 1979. 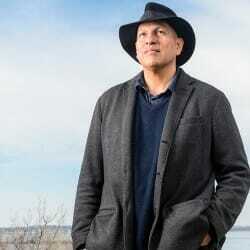 But each school year, dozens of organizations across campus — ranging from the MadHatters a cappella group to the suicide-prevention group Ask.Listen.Save. — fill the lawn with signs and banners to publicize events, recruit members, and raise awareness for their causes. “We don’t have a quad [per se], but we have Bascom Hill,” says Ali Witte x’15, co-director of Camp Kesem, a camp for children whose parents have cancer. Witte uses signs to recruit counselors. Even in our high-tech era, the low-tech items peppering the hill catch the attention of students glued to their smartphones as they walk to and from classes. The space is even more eye-catching now that the lower part of the hill got a facelift last fall, with the north and south sides of the sidewalk merging into a new staircase that descends onto State Street Mall. The signs that line the sidewalk — often delivering Burma Shave-style messages that build on each other — change as often as each day. 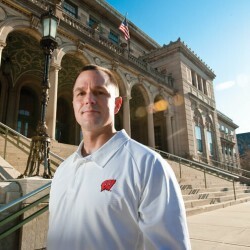 Any registered student organization or university unit can reserve the lower third of the lawn for a day, from sunup to sundown, through the Wisconsin Union. 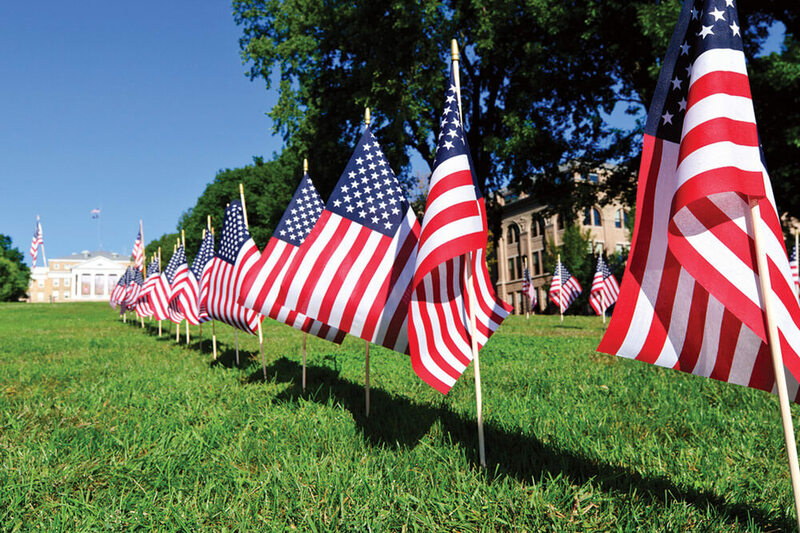 One of the hill’s most memorable displays is the annual commemoration of the 9/11 terrorist attacks, which involves the planting of nearly three thousand small American flags — one for each of the victims who lost their lives that day. Last fall, three student organizations — the College Republicans, College Democrats, and Veterans, Educators, and Traditional Students (VETS), a group that provides support for campus veterans — ventured out in the predawn hours to put the flags in the ground, wanting passersby to reflect on the significance of the anniversary as they travel up and down the hill, going about their days.